Our Year 6 class are about to enter their final term at Brabyns. The class is full of lots of wonderful individuals, some who have been with us for 9 years. In their time with us, they have all enjoyed many great achievements both in and out of the classroom (click here to read about their most recent proudest achievement). They are all getting ready for the next stage of their lives, and we prepare them for that with various activities in school. The greatest aid to their achievements has been their ability to get into the ‘Learning Pit’; embrace mistakes and use them as opportunities to learn. Many of the children in the class excel in this area and display a great resilient attitude to their learning. This year, over half of the class have chosen go into the state system. Choosing the state system is an area in which we have seen a considerable increase in the last five years. 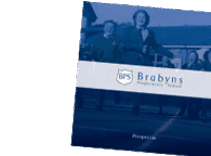 Parents have informed us that due to all we have done here at Brabyns they believe their child is more than able to flourish in any School. Of those sitting the entrance exams, we are proud that all of the children have found the School most suitable to their character and needs - a great achievement. 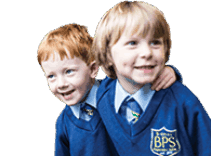 Children sat for the various Schools we feed into (all with different entrance requirements) and we received offers from all examinations undertaken - including Scholarship offers for particularly high achievement. Many children had the exciting, but difficult, choice of choosing from several Schools. A great testimony to the children, and the preparation we provide at Brabyns. The children not sitting entrance exams should be applauded for their continual admirable work ethic. They too have sat various entrance papers that have aided their progress this year, and will prepare them very well for life at Senior School. Below is a simple break down of the children’s offers and their destinations. If you would like to discuss Senior School entrance requirements further please do get in touch with me, Mrs Lawford or Mrs Munro. 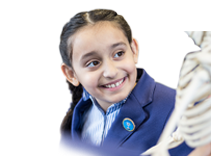 You may also like to see the Preparation for 11+ page on our website which timelines the journey for the Year 5 and 6 children and has example exam questions plus results from previous years. I finish with a big congratulations to all the Year 6 for their recent and past achievements, and know every one of them will thrive at their chosen Senior School. Well done!